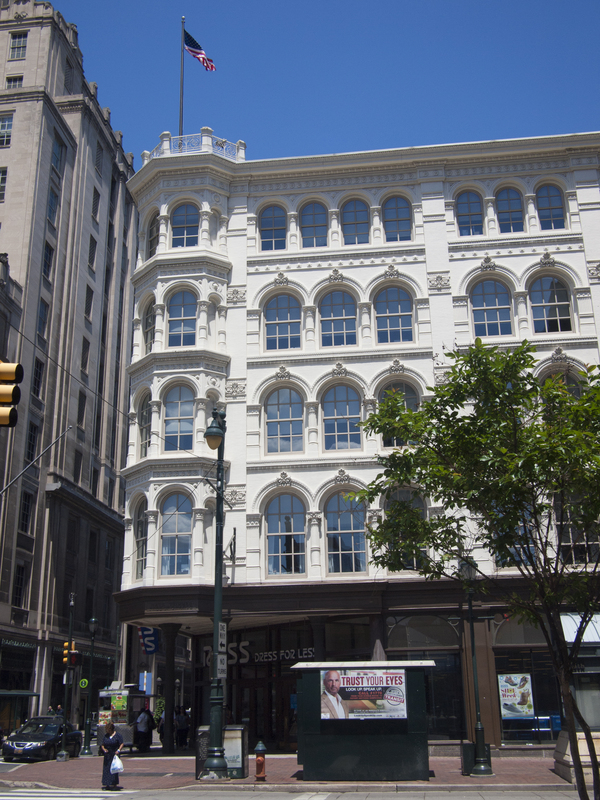 The marvelous cast iron facade of the Lit Brothers department store’s flagship building at 8th and Market, 25 May 2014. 04 Jun	This entry was published on June 4, 2014 at 7:05 am and is filed under Architecture, Center City, Historic Preservation. Bookmark the permalink. Follow any comments here with the RSS feed for this post.